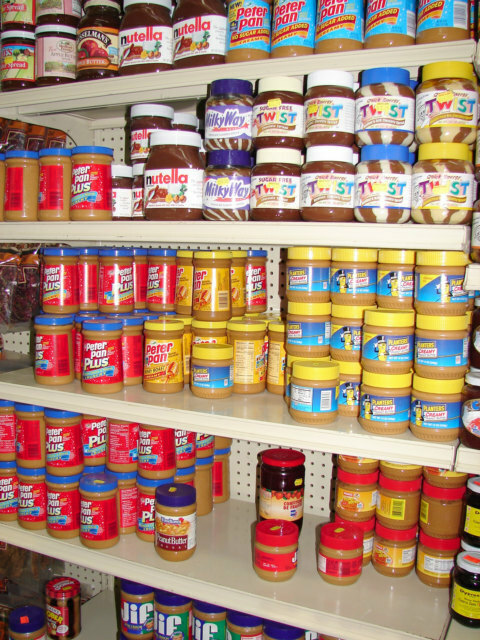 This is a photo of the Peanut Butter on the shelf in the Super Market down the street from me in Anguilla. Peanut butter is one of them foods that annoy Europeans; they will say comments about Peanut butter, however then eat the Chocolate Nutella a shelf above. I found some Combos Cracker and Cheese, the big bag the other day here in Anguilla. This is a food I cannot buy around the world, and if for some reason possible, the prices is crazy. I saw a Totinos Pizza also; the foods being sold here in the Caribbean are almost the same in nature to the USA. The market is so much larger in Central and South America, I think the executives of the USA companies maybe come down here, see the shelves, then push to be allowed to come and sell American products. I think people like to do business where they like to be. 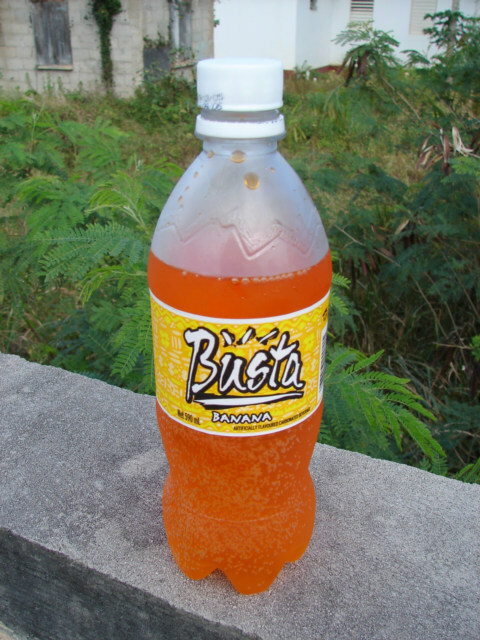 Busta Banana Soda, I was asking for the Orange, then realized it was Banana, so this girl says to try. It is good, made in Trinidad. A person from Trinidad described Trinidad as the New York City of the Caribbean.